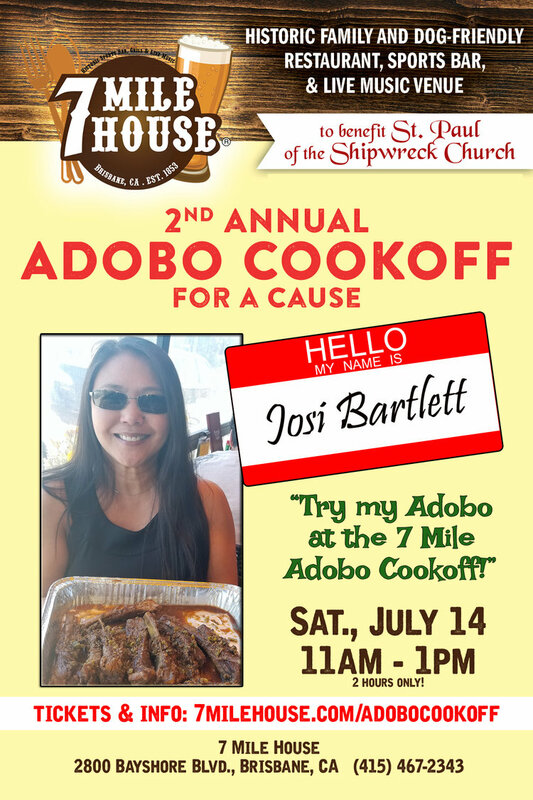 The 160 year old historic and award-winning restaurant, sports bar and live music venue, 7 Mile House, will be hosting their 2nd Annual Adobo Cook Off for a Cause on Saturday July 14th from 11:00AM – 1:00PM and invite the public to attend at 2800 Bayshore Blvd Brisbane, CA. 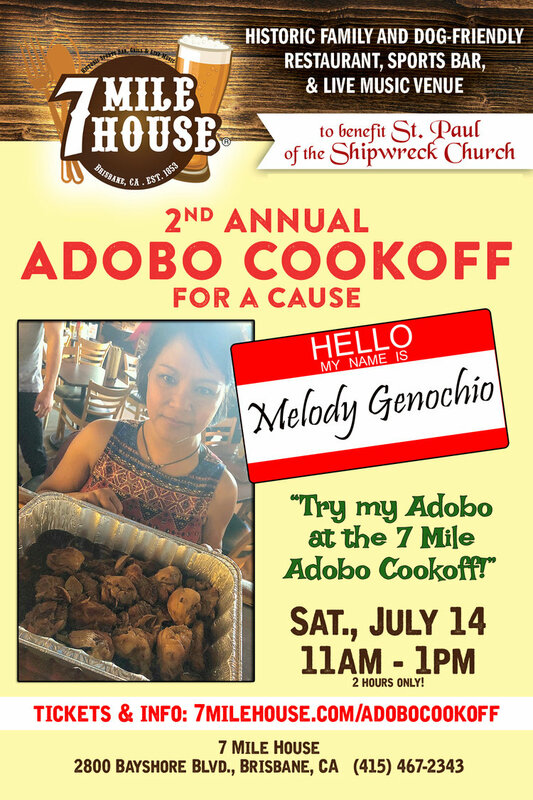 5 Bay Area locals have entered their own unique adobo dish, and will be competing against 7 Mile’s own Famous Pork Adobo as part of an annual fundraiser to benefit St Paul of the Shipwreck Church, a local organization in the community. The $25 price includes all you can drink San Miguel Beer, tastings of each adobo entry, unlimited rice, and one vote for your favorite adobo. Winner is announced at 1:30pm that day. TICKETS NOW ON SALE (click here)! 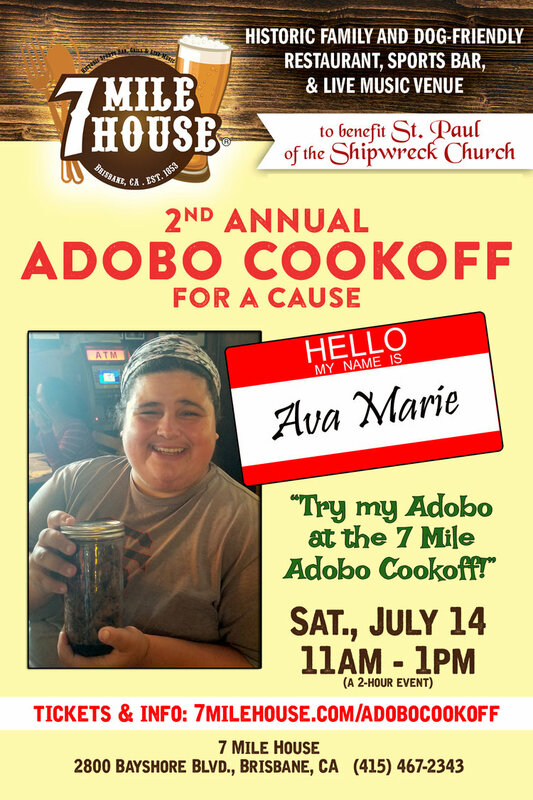 – A taste of each adobo entry, including 7 Mile’s! – The right to vote for your favorite adobo! 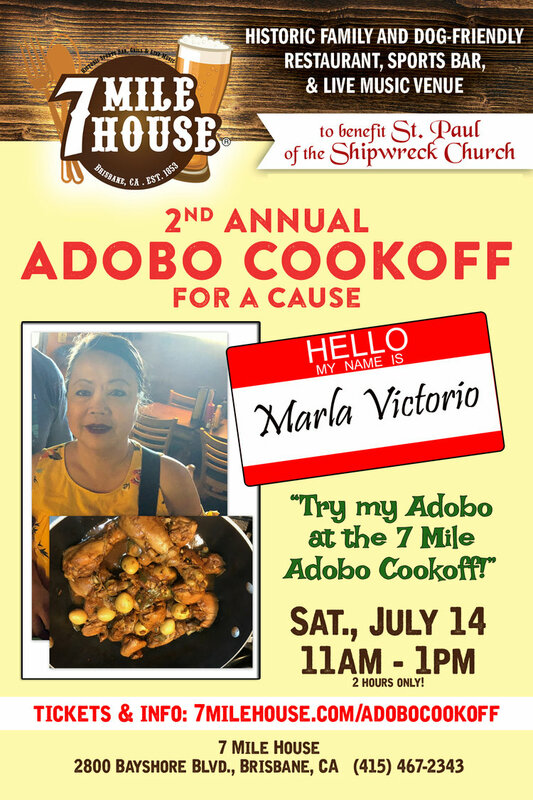 – And finally the Adobo Cookoff would not be complete without a cause to support! This year, our neighboring St. Paul of the Shipwreck Church on 3rd Street will benefit this fundraiser! ← Real Estate Courses at CSM to Begin in August – Sign Up NOW!